With the start of the school year just around the corner, it is easy to overlook one of the most important things on any back-to-school checklist — making sure your child is vaccinated. Vaccinations protect children from serious diseases, ultimately protecting families, schools and communities by way of safe and effective immunizations. Whether your child is entering day care for the first time, going to middle school or heading off to college, University of Alabama at Birmingham physicians are answering some of the most commonly asked questions about immunizations, giving parents the proper resources and information needed to ensure that their child is up-to-date on all necessary vaccinations. What is the benefit to vaccinating my child? Vaccination is the most important way to protect your infant, child and teenager from harmful diseases, many of which are preventable and can be life-threatening. Vaccine-preventable diseases exist throughout the world and can cause outbreaks at any given time, even in our own country. 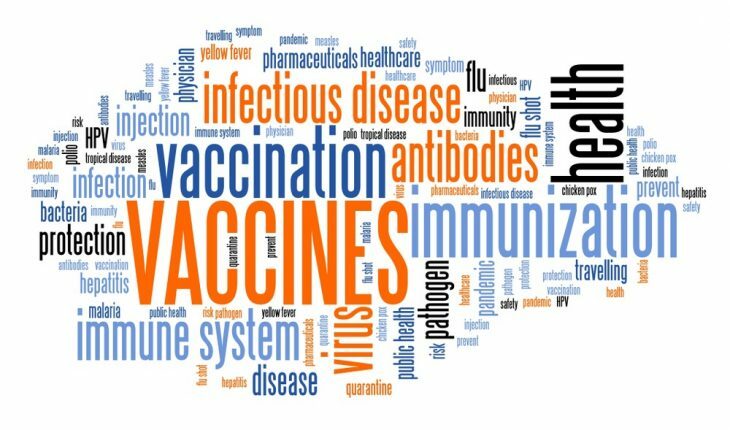 UAB’s Department of Pediatrics strongly supports the use of vaccines according to the schedule recommended by the American Academy of Pediatrics and the Centers for Disease Control and Prevention. Are vaccinations mandatory for my child to go to school? How do I know which vaccinations my child needs and when? Depending on the state you live in, immunization requirements may vary, but all states and the District of Columbia agree that students must meet the minimum requirement for dosing each school year to attend public schools. In many states, including Alabama, state law requires an updated Certificate of Immunization be presented prior to entering any public school or child care center. As of Aug. 22, 2014, all 50 states and D.C. require vaccinations for diphtheria, tetanus and pertussis, polio, measles, and rubella; 49 states and D.C. also require mumps vaccination; 48 states and D.C. require varicella (chickenpox) vaccination (Montana and Pennsylvania do not); and 45 states and D.C. require hepatitis B vaccination (Alabama, Maine, Montana, North Dakota and South Dakota do not) to enter kindergarten. Some states require Hib, PCV, flu and Hep A vaccines to enter kindergarten. “Vaccines are part of standard care for children and are covered by insurance,” said Rachael Lee, M.D., assistant professor in UAB’s Division of Infectious Diseases. As Lee notes, if you are in a position where you may not have access to health insurance, your state health department is a great resource. It can direct you to services which can offer low-cost and/or free immunizations, as well as provide other health and preventive-related resources to you and your child. Where do I take my child to get their vaccinations? You can take your child to their pediatrician to get their necessary vaccinations; but vaccinations are also available at local pharmacies, health centers and local health departments. Lee noted that, as a physician and a mother, she knows that it can be challenging for any parent to get their child to understand why getting a shot is important — a conversation that a pediatrician can also have when it is time for yearly immunizations. “Vaccinating children can be hard; but I have found that, with my kids, by showing them my bandage and sore arm after getting the flu vaccine, I feel like they understand more about the importance of protecting ourselves from sickness, which turns into a great learning opportunity,” Lee said. I’m entering college and/or postgraduate schooling. Are vaccinations required? For students entering college or returning to a higher-education setting, there are specific vaccinations necessary for enrollment, so it is recommended that you check with your specific to see what immunizations are required. Life-threatening infections such as meningococcal disease occur more commonly in college-age people, and can be prevented through full vaccination. What if my child has not been previously vaccinated? Is it too late to start? If you have not vaccinated your children previously, it is important talk with your child’s pediatrician about getting caught up. Stephen Russell, M.D., associate professor of internal medicine and pediatrics in UAB’s School of Medicine, says he has had parents who have previously rejected vaccinating their children change their mind. Whether it was because of their own further research, personally experiencing the devastation of one of these preventable diseases within their own family or through a friend’s family — or simply a change of heart — these parents have come to his UAB Medicine-Leeds clinic with one question: Now that we want to have our child vaccinated, what do we do? The CDC has also developed a “catch-up” schedule that parents can work with their pediatrician to follow. What if vaccinations are against my religious beliefs? All major religions endorse vaccination, including Christianity, Judaism, Islam and Buddhism. While most states offer medical and religious exemptions to vaccinations, and some states allow philosophical exemptions, the American Academy of Pediatrics views nonmedical exemptions to school-required immunizations as inappropriate for individual, public health and ethical reasons and advocates for their elimination. Both Kimberlin and Russell strongly encourage parents who have either rejected vaccinating their children or neglected to get vaccinations according to the CDC schedule to talk to their pediatricians now, and to make arrangements to get their children the vaccinations they need before the school year begins. How can I pull my or my child’s immunization records? How can I protect my children from HPV-related cancers, and when should I get them vaccinated? According to Isabel Scarinci, Ph.D., professor in the UAB Division of Preventive Medicine and associate director for Globalization and Cancer at the UAB Comprehensive Cancer Center, more than 31,000 people will be diagnosed with human papillomavirus (HPV)-related cancer this year. Many of these cancers occur in both men and women and could be prevented by the HPV vaccine. “The good news is that we now have a vaccine that has been proven to be effective against the HPV virus and that could eliminate multiple HPV-related cancers,” Scarinci said. The Center for Disease Prevention and Control recommends the HPV vaccine for boys and girls between 11 and 12 years of age but they can start as early as 9 years of age. If they are between 9 and 14, they only need two shots six-months apart. If they are older than 14, then three shots are required.